How To Choose A Relay To Avoid Malfunction? As a Power Relay Wholesaler, we have the following recommendations for avoiding relay failures. 1. What is the problem with the coil disconnection of the relay? Generally, most of the relay lines have an open circuit fault, so first check whether the disconnection is at the pin of the relay (prone to faulty soldering of the wire). Use the tweezers to fiddle with each pin to find the point of failure faster. 2. The contact of the relay is loose and cracked, etc., mainly due to the loose contact of the relay, cracking of the contact or excessive deviation of the size position. Contact looseness occurs during contact manufacturing, riveting or spot welding. Moreover, the same is due to the tolerance of the material, so the length is determined each time. 3. Due to the wide variety of coils used in relays, there are generally several types of materials that are outsourced or outsourced. Therefore, if the collision is cross-linked, the disconnection may occur when the coils are separated. So usually the relay pressure adjustment should not be suitable for too large changes. Otherwise, the coil will be soldered incorrectly, and there should be some care in the assembly and soldering of the relay, so as not to cause the relay level to be opposite. 4. 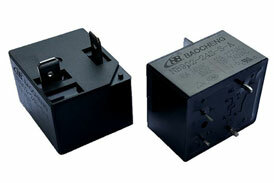 The relay is mainly designed to function as a cut-off to avoid burning the line. Generally, there are many types of relays. For example, relays are divided into single and double, and multiple, and the performance characteristics of relays with different specifications are different. 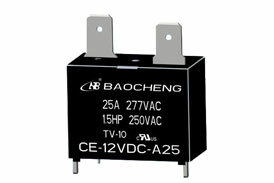 Just like single-unit, it is mainly a single-working relay. Secondly, duplex is a relay that can work together and can support a single job. 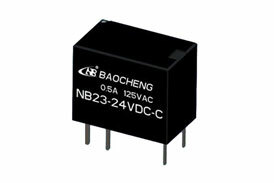 Therefore, relays of different specifications cannot be used randomly or replaced. Otherwise, if the selected relay is not applicable, it is easy to cause damage. 5. For the normal ambient temperature of the GN Relay, the current is generally subject to poor heat dissipation. Therefore, most of the cases will cause damage to the GN Relay output semiconductor device. Therefore, it is recommended to use the relay. Select a larger power heat sink for parallel installation.